Smile! Go to Spain !!!! Studio nice and bright in beautiful private residence in family atmosphere. Separate entrance in ground garden, large terrace. Spacious and shady gardens: Green area with palm trees and roses. View of the pool located approximately 10 meters. The pool is monitored by a rescuer in July and Aoùt. The residence has a secure portal. Pharmacy and supermarket within 100 m.
Bus stop every 15 minutes behind the residence. Bathroom with shower, washbasin, WC. 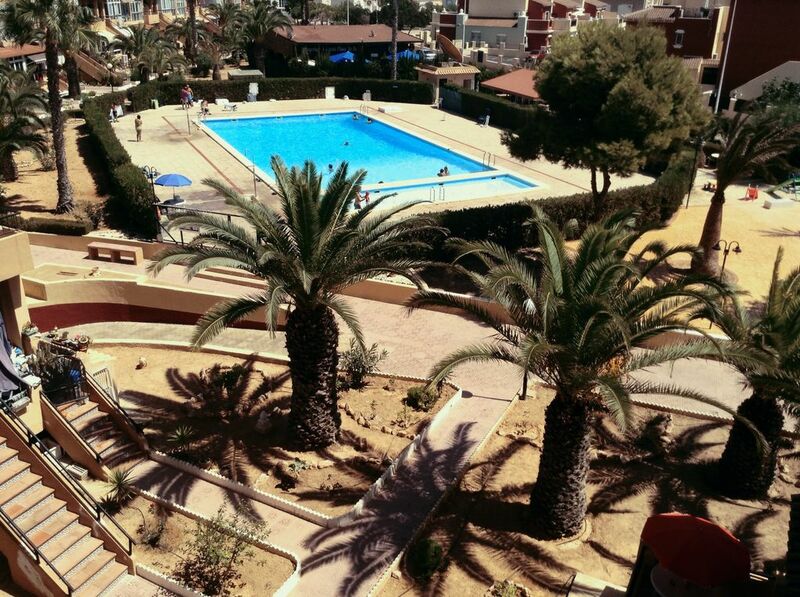 The studio is located in Spain on the Costa Blanca has 38 km south of Alicante. The studio is centrally located in the residence 'Les Balcons Torreblanca. Great sandy beach closest to 8OO m (La Mata).